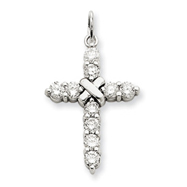 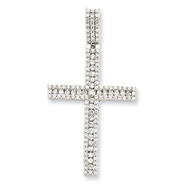 Add shine to any ensemble with this beautiful cross pendant. 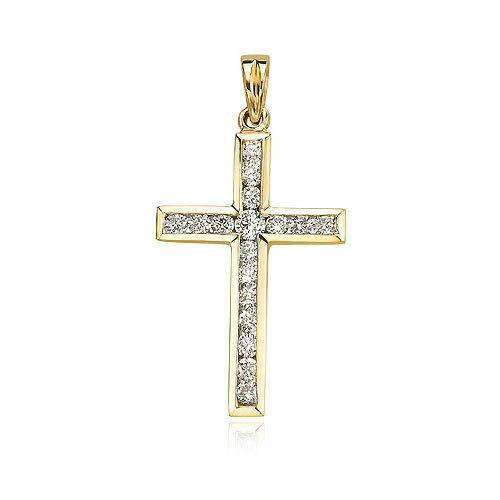 A polished Yellow Gold cross holds shiny, round Diamonds to create this gorgeous piece. 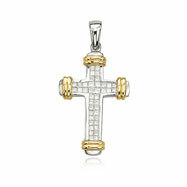 Add your favorite chain to complete this look. 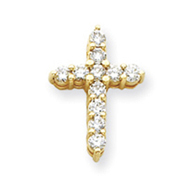 Also available in White Gold.